Massive mountain-esque rock formations stand tall against a seemingly arbitrary assortment of equipment: a gun doubled as a pipe, an architect’s drawing compass and ruler, and a stop-watch-like time recorder. At first glance, it appears these objects have no relation to the dramatic landscape set behind them, but for artist Ellen Lanyon this is a vision of The Persistence of Invention. In an exhibit of same name at the DePaul Art Museum, Lanyon, a Chicago native, explores the effect of man’s invention on the natural environment, highlighting the tension found between culture and nature in a flurry of colors, shapes and figures from both the real world and the one created in her own head. 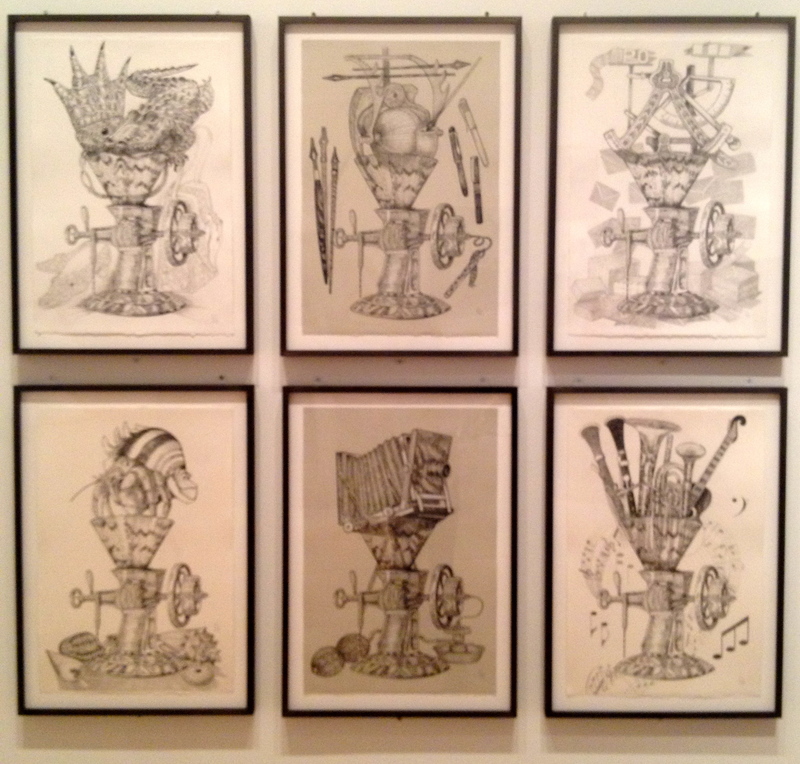 As a student during World War II, the artist worked in the drafting department of a foundry, which sparked her fascination with the machine parts that have become such prominent parts of her work. Coupled with a focus on medieval European painting practices while studying at the School of the Art Institute of Chicago, Lanyon developed a wide range of expertise from the technical to the obscure. Working as a sort of retrospective, the exhibit begins with Lanyon’s magic-inspired works from the late 1960s and continues through to recent renditions of her own collected odds and ends. Odds and ends from the Lanyon collection. From the old to the new, elements of mystique and obscurity come alive in the form of birds bigger than houses and crustacean-topped inventions of decades past. Through lithographic sketches and paintings in mediums from oil to acrylics, Lanyon brings these “objects of her obsession” to life and gives a voice to the inanimate. Poyet’s Magic Experiments, or Science in Play, provided immense inspiration for the artist with its detailed illustrations of magic tricks and the physics behind their illusion. Rather than clarifying the details the way Poyet did, Lanyon took to obscuring the mechanism to provide the sense that things both are and are not what they seem at the same time. Miscellaneous machinery and random kitchen appliances naturally seem to find a place among blossoming flowers and intricately detailed and colorful nature scenes, leaving the viewer to question what brought them there in the first place and how the manmade objects exist amongst the natural. 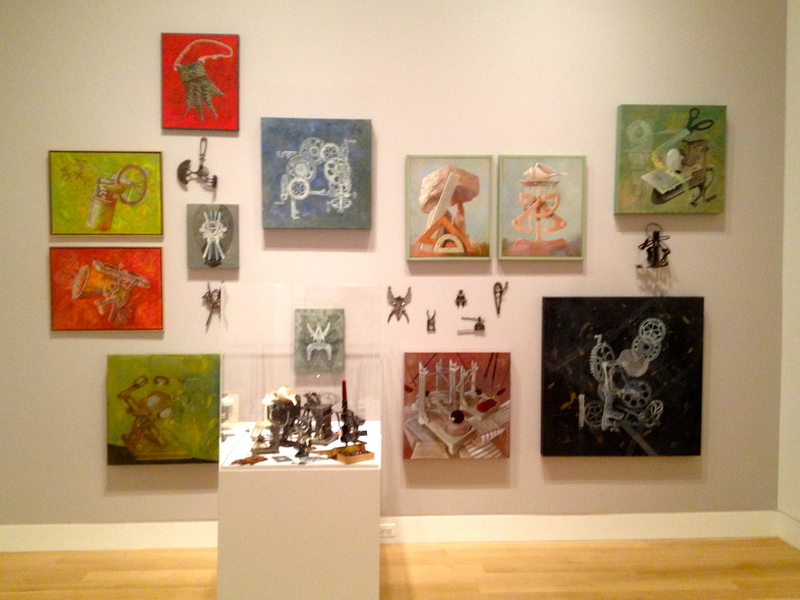 Paintings inspired by Poyet’s Magic Experiments. Lanyon’s work fits right in with those of an accompanying exhibit running at the DePaul Art Museum through Nov. 18 titled “Afterimage,” which features an array of works from the Chicago imagists who share her ability to displace completely ordinary objects into a surreal fantasy world of wonder. 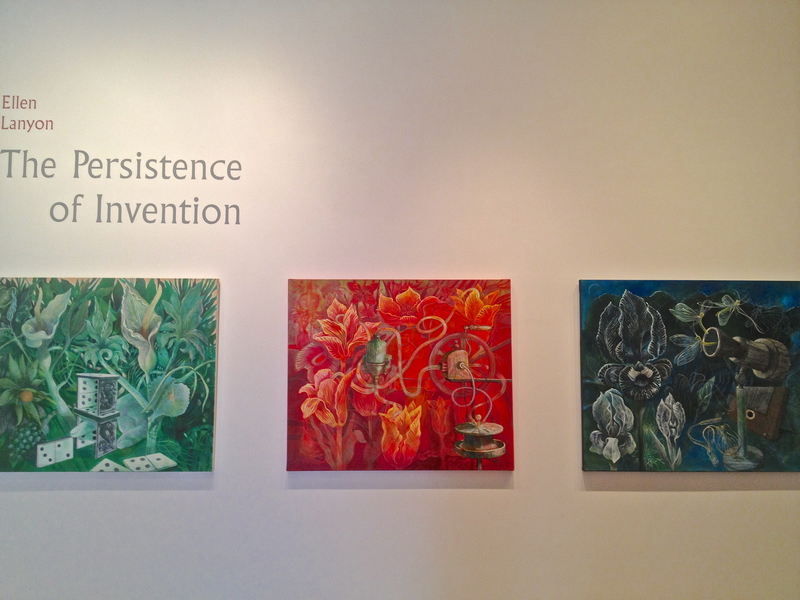 “The Persistence of Invention” runs now through Nov. 18.